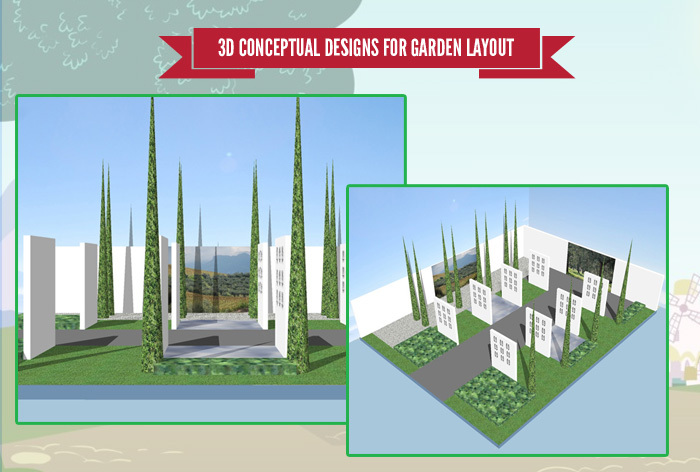 Hugh Ryan Landscape Design, a specialist in garden design and construction service for homeowners throughout Ireland, with many of his designs receiving recognition both at home and overseas. Hugh won ‘Silver’ at Bloom in 2009 with his garden ‘Sequoia’ and most recently, “Bronze” at Bloom 2015 for his garden “Footfall”. 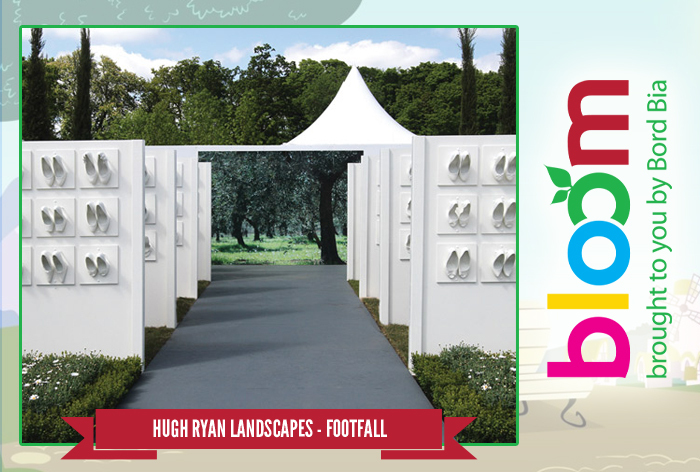 As part of his garden design for Bloom in the Park 2015, Ireland’s leading horticulture and food festival, our client, Hugh asked us at Sign Solutions to manufacture the signage element of his show garden design. We were delighted to be involved with this exciting project. His design included high spec forest images which we digitally printed on large display panels. The graphic images were finished with a special UV clear laminate covering, protecting and enhancing the images. These sign panels were incorporated in Hugh’s “Footfall” award winning show garden design which had approximately 144 stiletto heels with a black and white ‘runway’ style pavement running through the middle of the garden which was a stunning display. Our team at Sign Solutions…every sign imaginable were thrilled to be involved in such a fabulous project. Congratulations to Hugh Ryan Garden Designer for winning this coveted award at Bloom.